With its mystical forests and lakes, clear deep waters and cheerful island cottages, Sweden offers a peaceful retreat for those who long to reconnect with the simple life. As the summer days lengthen, Swedes join their friends and family to celebrate light and warmth in the age-old pagan festivities of Midsummer’s Eve. Children begin the day by picking flowers with which to make colourful wreaths to decorate the maypole. The pole is then raised in the middle of town to become the centre of traditional ring-dances. Women wear garlands of flowers, men wear folk costume and food comes in the form of a buffet or ‘smörgåsbord’. This is more than likely to include the national favourites; pickled herrings, smoked salmon, gravadlax, boiled potatoes (served with sour cream and dill), and strawberries. For the adults the evening continues with shots of traditional flavoured brännvins, and racy drinking songs. From Tuesday 12th August to Sunday 17th August Gothenburg hosts its annual Culture Festival. You’ll find the second city’s busy streets awash with modern art and culture. As one of Sweden’s biggest festivals, it combines a lively street party atmosphere with culture at its finest. From ballet, to street theatre, jazz to the sublime symphony orchestra there is something for everyone to enjoy. Food is on offer with pickings from across the globe, tempting you as you amble through exhibitions and poetry readings. 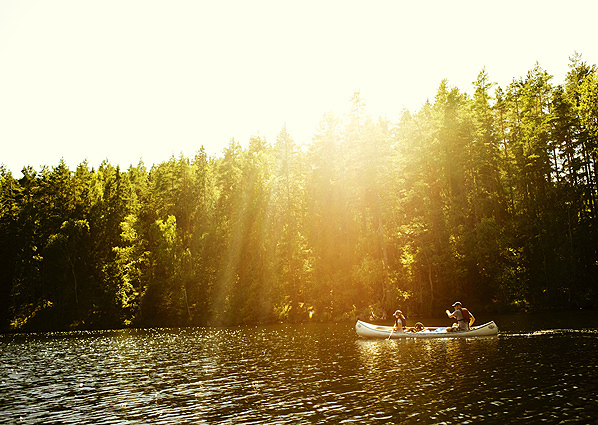 With a impressive 20% of Swedes owning a summer house to escape the hustle and bustle of the city, why not do the same and combine some time in town with a few days in the outdoors. As a restful and pretty alternative to tourist-packed beaches, Sweden is a unique destination to enjoy the summer. If you would like to book a Swedish summertime sojourn, just get in touch.